Well done to all the teams who took part in todays hurling blitz in the club. 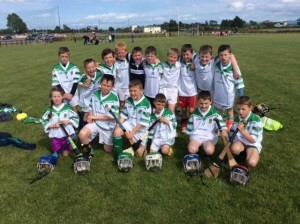 There were great displays of hurling from every team at both U10 and U14. Congratulations to Blessington who won the U10 category and to Rathangan who won the U14 category. Well done to Moorefield U10’s who played with great skill and tenacity. The little Moorefield Lions are improving all the time.